I am really excited to be working with the baby bunch again to bring my readers another review and giveaway. I reviewed the organic cupcake gift box last time, this time around, I am reviewing the Crayon Rompers. Just like last time, I am simply impressed by the cute packaging that the baby bunch offers. The Crayon Rompers consists of 3 colorful onesies in the baby bunch crayon box. The onesies are for babies 0 to 6 months old or up to 16 lbs. I think the Crayon Rompers makes a great gift for a baby shower or include it in a gift basket for a mother to be. These colorful onesies will be prefect for a baby girl or a baby boy. In addition to the Crayon Rompers I received to review, The Baby Bunch also offers an assortment of adorable, beautiful gift packages. 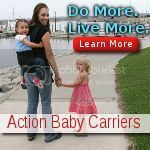 To buy the cute product I received to review or to check out the the baby bunch store, please visit its website. Many thanks to The Baby Bunch. 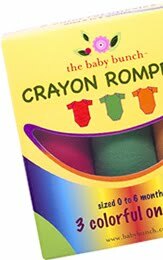 The company has generously offered the a Crayon Rompers gift box as a giveaway prize to one of my lucky readers (US residents only please). 1). Please go to the baby bunch and then come back to tell me about another product you would like to try (you MUST be a public follower of my blog to enter this giveaway, and your profile can not be set at private). 2.) Blog about my giveaway- with a link back to here, when you leave the comment make sure you include the URL of where your post of my giveaway is. Please do not copy and paste my review over to your blog, please write about why you would like to win this giveaway and provide a link back to this post. The Contest ends August 12th, 2010 at 11:59pm PST. 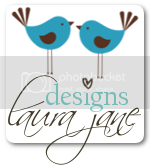 Blogging about my giveaway earns 2 additional entries. 6.) 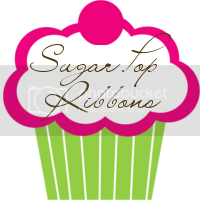 Grab my "Back to school shopping guide" button and display my button on your blog or website. Then come back to tell me what your website or blog address is, make sure to leave an url address so I can check it. Grabbing my button is worth 5 additional entries. Please note that my html code is different from the one posted on familylicious, if the button on your site is not my html code, you will not be eligible to win with your additional entry. 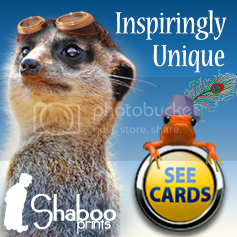 If my button is not displayed on your homepage but it is posted elsewhere, you will not be eligible to win with your additional entries. 7.) Retweet this review and giveaway by clicking on the "retweet" button on the bottom of this post. (Right next to where you click to leave me comments). After you retweet, please leave me the url of your tweet so I can check. If you do not know how to check your tweet url, please read this post for step by step instructions. You can retweet once a day for 1 entry each time. NOTE: You can only use the "retweet" button once. 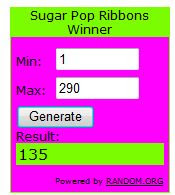 If you want to retweet everyday, please tweet the following: " I want to win The Baby Bunch Crayon Rompers@ http://www.sugarpopribbons.blogspot.com/ " for 1 additional entry per day (please leave me the url so I can verify your tweet). I think the kitchen bunch would be great to try! I would love to try the box of cupcake onesies. I like the Large Blue Bucket bunch, what a great gift basket! I love the cupcake onesies! I like the Lollipop Onesies! Very cute! I love the yellow bouquet. I love the cupcakes bodysuits! Almost too cute to use! I'd like to try the Kitchen Bunch too. I entered your Aminals Organic Toy Giveaway. I entered your Miss Opps Giveaway. I entered your Musselman's Apple Sauce Giveaway. I entered your Belt It Out Giveaway. I entered your Asher's Chocolates Giveaway. I entered your TamaTown Giveaway. I entered your SKLZ Sport-Brella Umbrella giveaway. My favorite is the Box of Four Blue Cupcakes. I follow you on Twitter #1 (mnsteph). I follow you on Twitter #2 (mnsteph). I entered the Minute Maid giveaway. I like the lollipop onepiece.